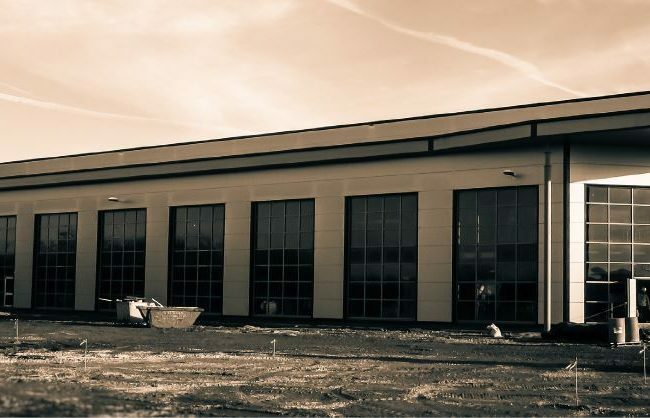 Adept were appointed by Marshall Construction to provide civil and structural design services for a new manufacturing facility to be utilised by Jaguar and Land Rover. Adept were introduced to this project in April 2013 prior to planning application and the project was handed over in January 2014. 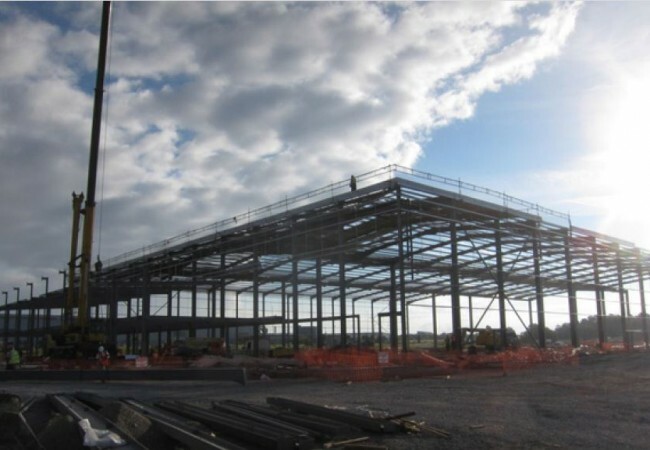 Adept provided innovative and responsive engineering solutions throughout this project, enhancing their strong working relationship with Marshall Construction. 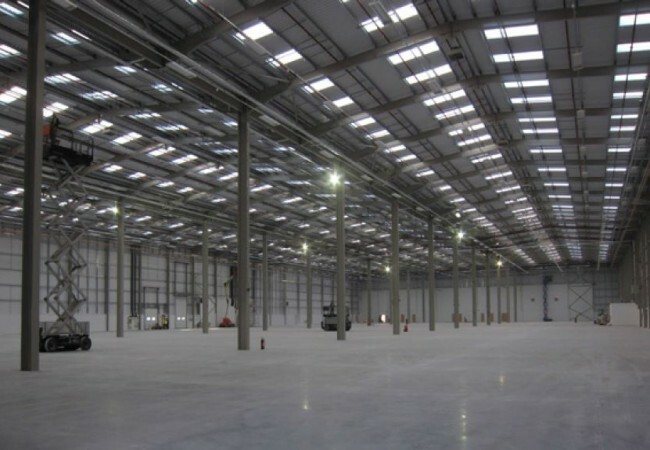 Appointed prior to planning, Adept played an integral role throughout the construction of this 13,000 m2 industrial unit and 2000 m2 office facility. The superstructure took the form of a three bay steel portal frames with hit and miss columns internally. The office upper floor was constructed with steel beams supporting a 130mm thick composite metal deck slab. Site investigations and close liaison with the local authorities were undertaken with dedicated time management to ensure a smooth beginning for the client. Lime stabilisation and vibro treatment were identified as economical solutions to deal with difficult ground conditions and therefore actioned. Pad foundations could be utilised, demonstrating Adept’s commitment to the provision of cost effective engineering design. Adept’s expertise in steel frame design and sustainable urban drainage systems (SUDs) ensured the condensed time scale of this project was adhered to. Surface water drainage challenges were addressed and solved by Adept’s expert civil engineers. The use of Revit BIM software continues to promote Adept’s position to the forefront of structural and civil engineering. Adept were able to bolster their reputation for proactive and responsive provision of engineering design and problem solving throughout.